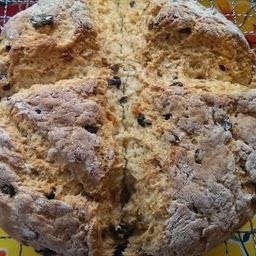 The Odlums Baking site calls soda bread with raisins in it 'Station Bread'. I haven't heard this before - is this something to do with the stations of the cross, I wonder? Where is Regina Sexton when you need her?! I shall go and consult her history of Irish food and see if it mentions Station Bread. 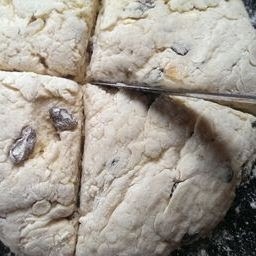 Add milk and mix to make a soft dough. 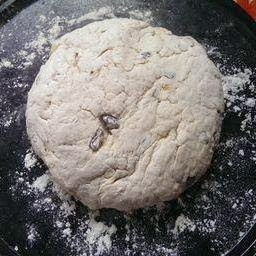 Slather with butter and eat. Yum!